Internet Desk : The industry has demanded from the government to increase the limit of personal income tax exemption limit from Rs 2.5 lakh to Rs 3.5 lakh and reduce the corporate tax rate to all the companies for 25 percent. There is also emphasis on creating separate tax code for the small industries and giving priority to topics related to health sector. 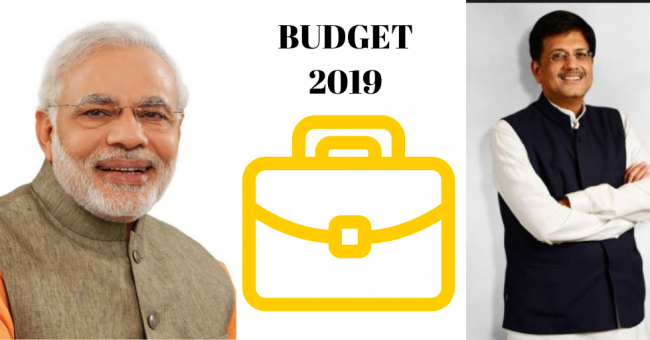 The Modi government will present its final budget for this tenure on Friday. During the budget session starting on Friday, the approval will be given for four months of accounting. After completing the full budget general election, new government will be present in July. The government had reduced corporate tax rates from 30 percent to 25 percent for companies doing business up to Rs 250 crore annually in the previous year’s budget. This step reduced the tax rate for 99 percent companies paying tax returns. At present, the annual income up to 2.5 lakh rupees is tax-free, while income tax at the rate of 30 percent on the annual income of between two and a half lakhs up to five percent, five lakh to ten lakh rupees and 20 percent and more than ten lakh rupees. is. In addition, cess and surcharges are also applicable. Income of up to Rs. 3 lakhs and up to five lakh rupees respectively for senior citizens and elderly people above 80 years has been tax free.